Often called possums, these animals have a flexible diet that make them successful colonizers in diverse environments. 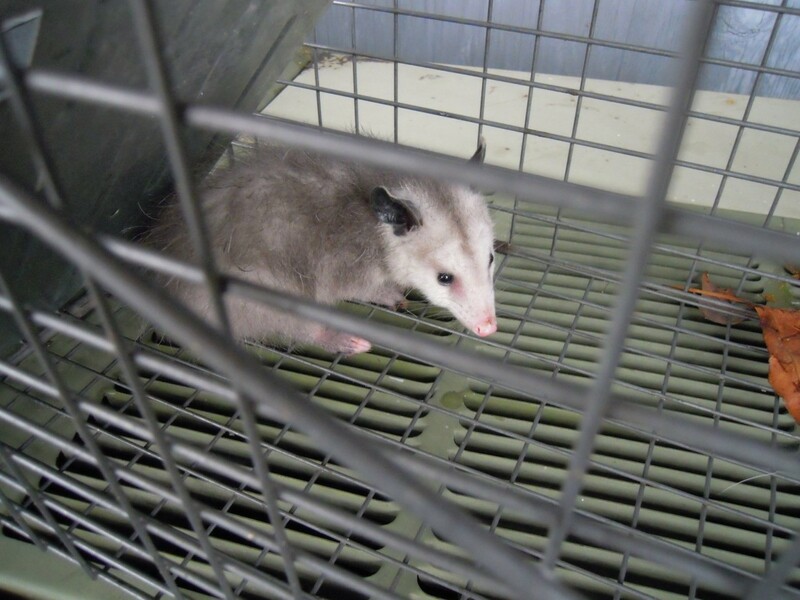 This page contains opossum information and photos. Opossums eat rats. 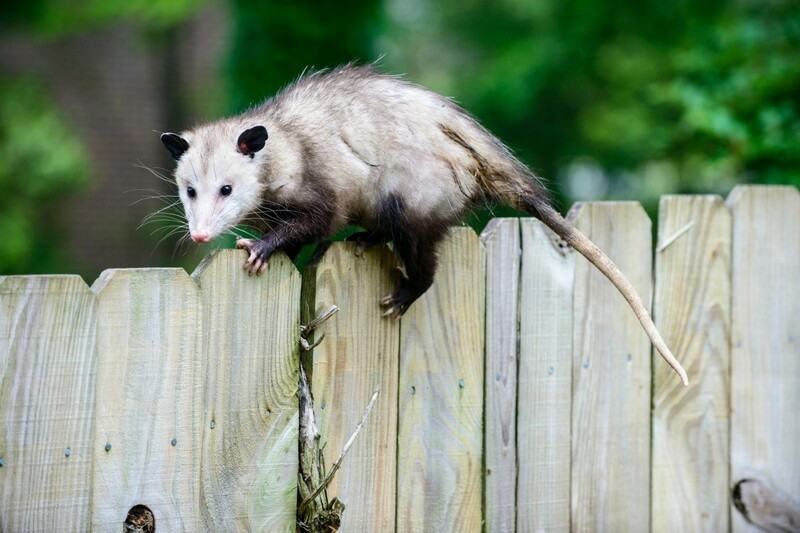 Encourage your area to set up an area for opossums. No opossums do not hibernate, they may den up in cold weather, but will come out to eat. >>>Do opossums hibernate during winter? Opossums do not hibernate. Their greatest challenge during winter, especially in colder climates, is simply to survive. Very often opossums will alter their foraging habits during winter, coming out during the day when it is warmer rather than at night. It is not uncommon for opossums in northern regions to suffer frostbite during extremely cold periods. Their tails are particularly susceptible to frostbite as they have no fur covering to protect them. Sometimes opossums can be found relocating to basements or garages in order to escape the cold. The only way to prevent this is to make sure all openings are fully covered. I had a family of opossums in my backyard shed one winter, so I would say they definately try to find a place to get out of the cold weather. Not here in N Y. They come and eat from my bird feeders, if they can get to them. They go up the pole, and hang on any way they can, to get to my bird food day or night! OK Next question. I live in WI & have one sleeping in my chicken coop. Will it eat my chickens? I was wondering about possum's hibernating. I live in Cedar Grove, WI and my husband and I manage a small motel about a mile from town. We put out dry cat food to feed some of the stray cats and the food is put between our kitchen door and the door to the office. We have a possum that comes up to the doors to eat the cat food. We just found out where it has been living. We have an old coke machine that does not work and the possum is living inside the machine. I need to get rid of my possum in my back yard. I went to go move our garbage can and there is an opossum in it.I put the garbage can on its side so the opossum could get out. I went back outside 3 times and it moved to the garden but its not playing opossum. Put baby oil on the poles....and dont have them close to tree branches or anything they can climb or jump from....very funy to watch critters slide down the pole ! Skeeter was 3 1/2 years old. Possum, oh possum. I found her when she was about 2.5 inches long, in her Mama's pouch. She had been hit by a car, but 6 babies survived. I took care of them all for 3 and 1/2 weeks, then gave 5 of them to a wild animal organization, keeping Skeeter. She loved being carried around. Hugging, eating, sleeping, and going to the drive through at Mcdonald's for her own hamburger and fries. Unfortunately, she developed cancer, very badly, and I lost her humanely. I will miss her for the rest of my life. I was her Mama. Our cat has her own house, in fact it is a condo and at times she has visitors. I don't think this one was probably invited but she isn't particular and shares with all. She seems to make friends with the most unlikely of characters. Our cats house sits right outside our picture window and she loves to TV with us. Perhaps she invited the opossom over for a night of entertainment and snacks? A little visitor, he must have fallen off of his mommy's back, I just took the baby boy by the tail, put him in a little box and brought him to the wildlife rehab center. They had a lot of these little orphans there; they promised me they would release him into the wild when he was old enough. We are in the small town of Chillicothe, Illinois, and discovered that we had baby possums behind our store. We put out a trap. This is a picture of the seventh one we caught.